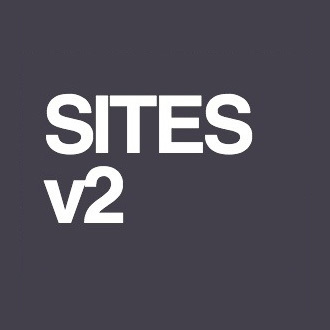 SITES v2 is the most comprehensive system for developing sustainable landscapes. It is used by landscape architects, designers, engineers, architects, developers, policy-makers, and others to guide land design and development. Originally modeled after the U.S. Green Building Council’s LEED® Rating System, SITES v2 includes best practices in landscape architecture, ecological restoration, and related fields, and knowledge gained through peer-reviewed literature, case-study precedents, and projects registered in the SITES Pilot Program. Reduce the consumption of virgin materials and avoid landfilling useful materials by purchasing products with recycled content. Percentages are based on cost or replacement value. Determine the recycled content value of a material assembly by weight. The recycled fraction of the assembly is then multiplied by the cost of assembly to determine the recycled content value. Establish a project goal for recycled content, and identify material suppliers or local products that can help achieve this goal. SiteScapes products contain 70% – 99% recycled content. Recycled content depends on product type. For a full recycled content description see our product information. Reduce energy use for transportation; increase demand for regional materials, plants, and soils; and promote regional identity by supporting the use of local resources. Extraction, harvest or recovery, and manufacture must occur within 500 miles. SiteScapes is centrally located in Lincoln, NE. As such, we are able to provide site furnishings to a large section of the Midwest that meets this "regional" requirement for a 500 mile radius. See our regional material map for specifics. Reduce emissions and promote a healthy lifestyle by encouraging and supporting efficient and adaptable modes of transportation. Short-term bicycle parking for not less than 6 bicycles within 50 feet of each primary entrance of a building and long-term bicycle praking, either enclosed and secured or within 200 feet of inhabited buildings, for seven percent of the building’s total users.